not much to blog about. i am at a standstill once again. i feel like i have been frozen by the ice witch. though everything around me is going so fast. work is exhausting me. i cannot be there anymore, i am so close to walking away... but there is rent and bills to pay. and food to eat. i have applied for a handful of jobs so fingers crossed. just one choice will do. if anyone's listening!?! right, i have birthday and bon voyage cards to make. I wish you all the luck in the world that some of those jobs you have applied to will come through for you. i know how you feel on the job front. I'm in the same position with the job thing. I haven't got any reply to like 14 jobs. I like to blog about anything that pops to mind to keep me active and creative at times when I get down. I have a little blog give-away idea I want to do, if I get enough lovely bloggers who like the idea and enter, I'll go ahead with it! Check it out if you have a little free time pleeease! I hope you like my blog as much as I like yours! I hope that you find the perfect job, you've been unhappy with this one for a while! This hit a note because it is actually how I feel today. (work 5:30am - 8pm) I hope you find a new job and that you feel better soon. 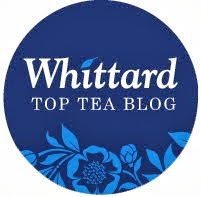 What a delightful blog, I love your take on the passion of drinking tea. We have a similar blog at high tea perth that shares similar interest and have added your link to our links page. Hi lovely! i was so excited to see your comment. Thank you :) Your blog will always be one of my absolute favorites, I always feel like I'm walking into a magical and pretty place when I visit you! :) You're so cute!